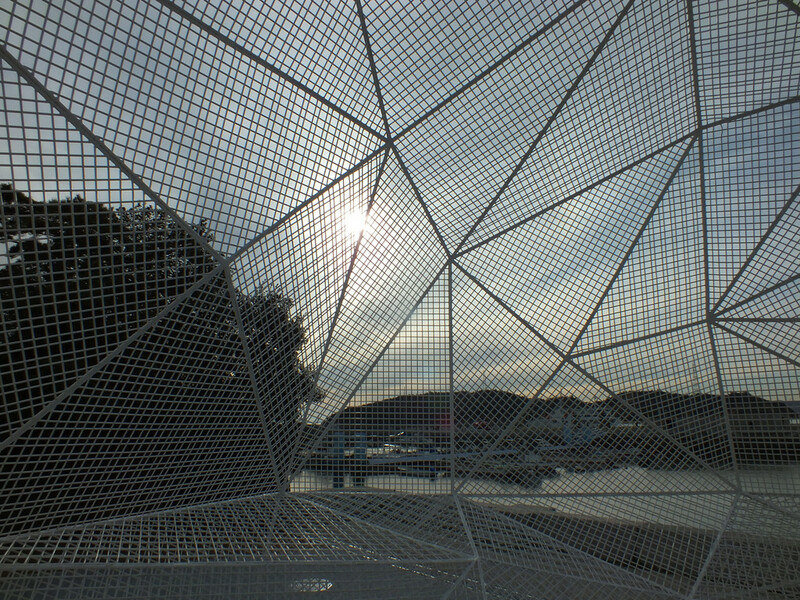 Naoshima is the where this idea of putting “art on islands” has started in the late 1980s. 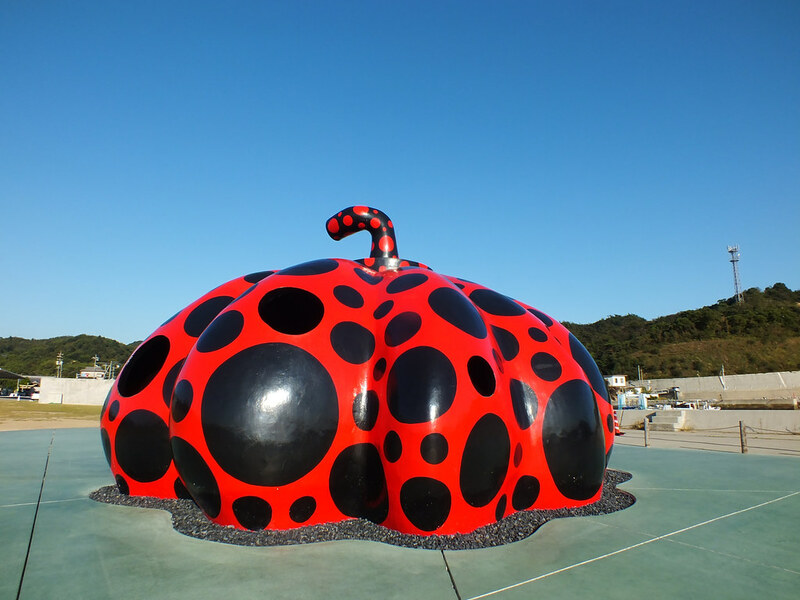 Nowadays, the island is world-famous for its art sites and museums that are collectively known as Benesse Art Site Naoshima. 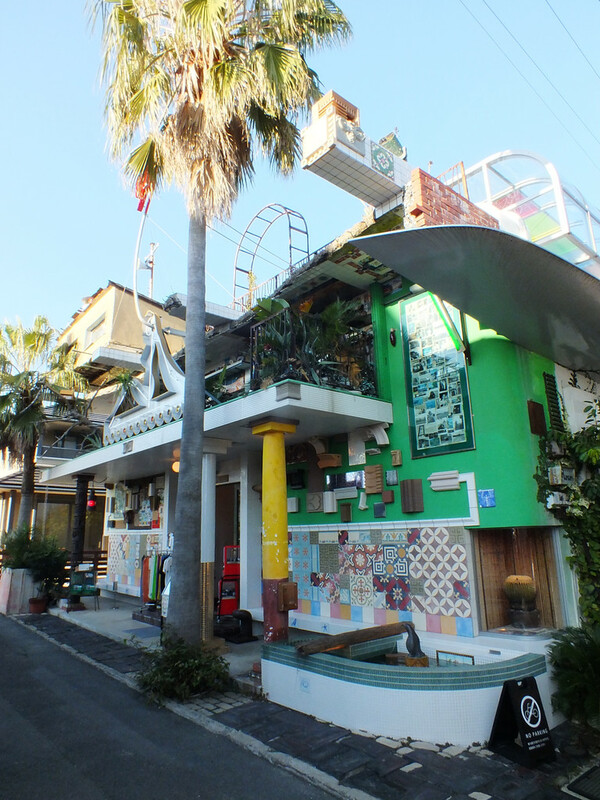 Nicknamed the art island online and elsewhere, it is really only half of the picture as most of Naoshima’s economy and activity is located in the northern part of the island that is heavily industrialized. Art sites are concentrated in the southern part only. Still, it is the part that attracts visitors and the part we’re going to talk about here. 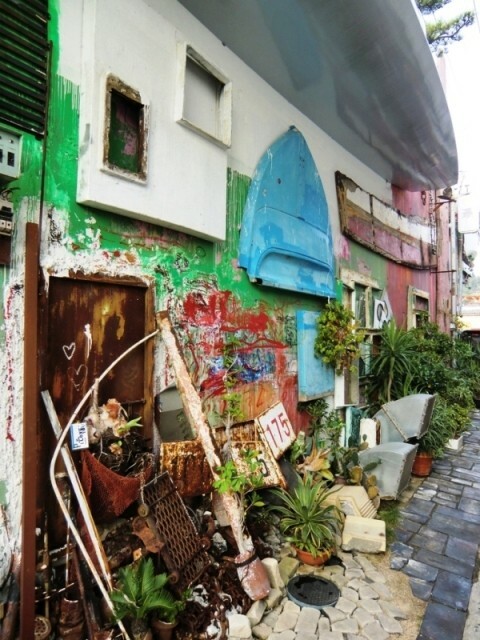 I have to warn you though, many guide books and people call the place “off the beaten path” but they must not have been there in a while; it receives about a million visitors a year these days (and probably more in 2019 with the Setouchi Triennale). Naoshima has two ports where ferries dock (and a couple of smaller ones), Miyanoura on the west side and Honmura on the east side. 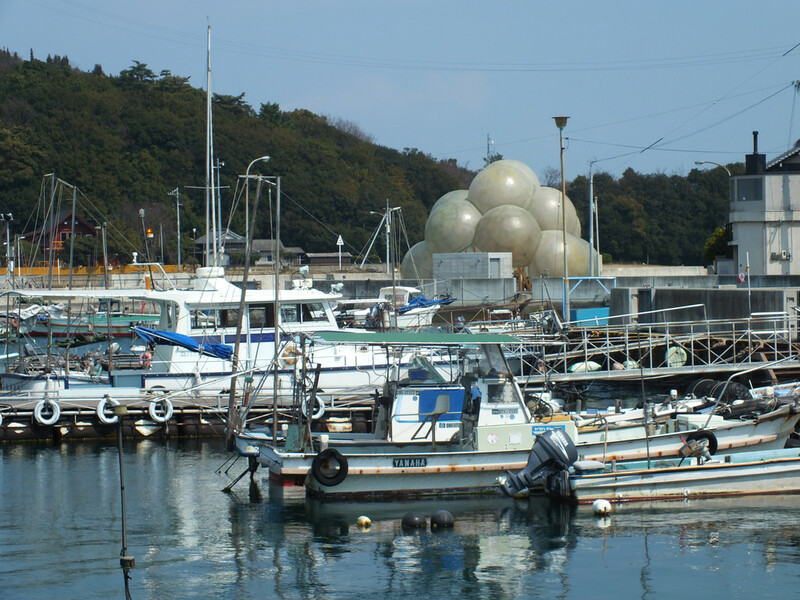 You can reach the island from Takamatsu (Kagawa), Uno (Okayama) or Teshima (Kagawa). Large ferries only go to Miyanoura port and this is mostly where you’ll land on the island. If you have a lot of time and are in good shape, walking is definitely an option, it will take about 30 minutes to walk between most of the areas that have artworks. You can also rent electric bicycles (or non-electric ones, just be aware that the island is not all flat), just be aware that they’re rented out very quickly on a regular day and you can’t access the Benesse grounds with any kind of vehicle on busy days (unless you’re a hotel guest). There also are buses going around the island and to all the areas you may be interested in. 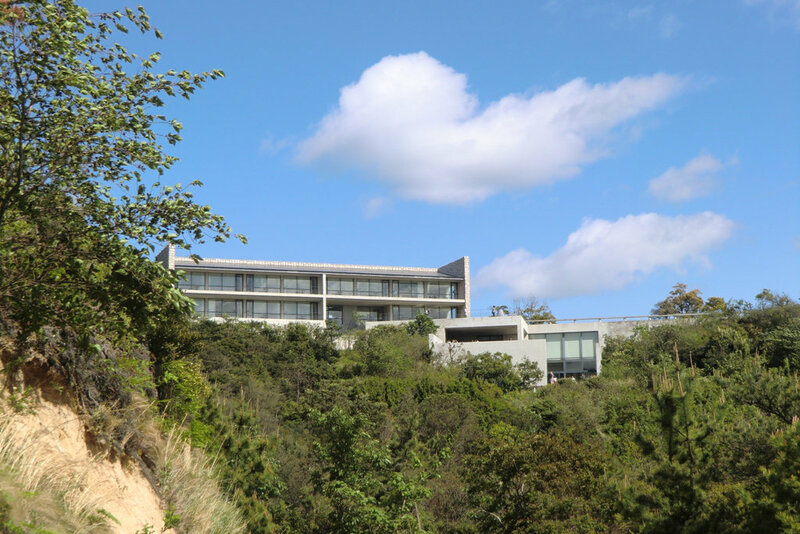 As a rule of thumb, the first thing you need to know is that all artworks and art sites on Naoshima are closed on Mondays (with the exception of Benesse House Museum). However, they are open when a holiday falls on a Monday (in that case, they’ll be closed on the following regular day – usually the next day). Most artworks are free for children and teenagers under 16. 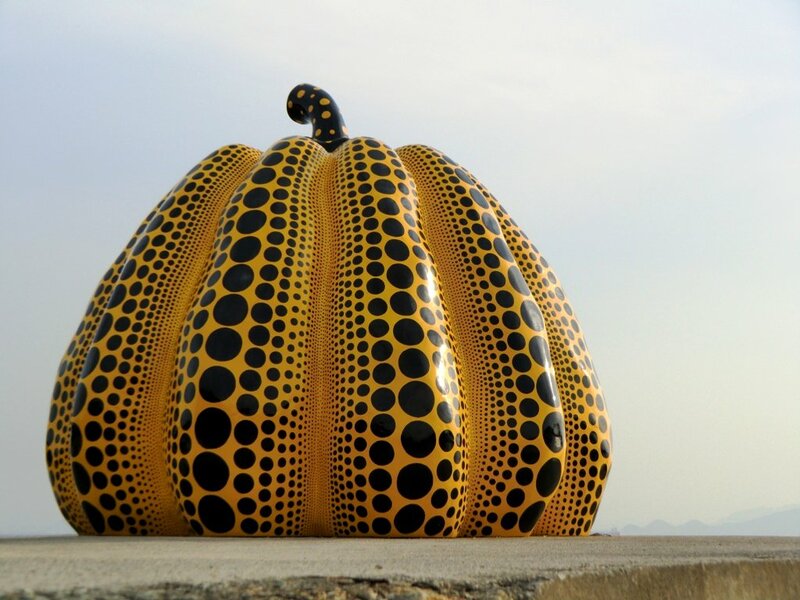 All of the artworks on Naoshima belong to the Fukutake Foundation and are managed by its Benesse Art Site Naoshima branch. 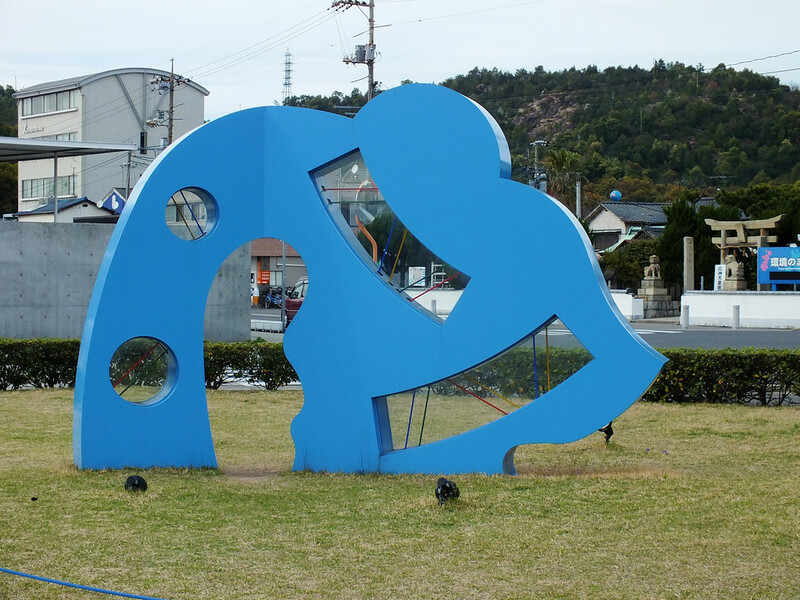 They’re all part of Art Setouchi and also take part in the Setouchi Triennale. If you’re a bit confused about the difference between all those terms (who wouldn’t be at first), I warmly advise you to read this article. Note that in the following list, all art sites with numbers ending by B are directly managed by Benesse and pictures are not allowed indoors (among other rules you are required to follow). 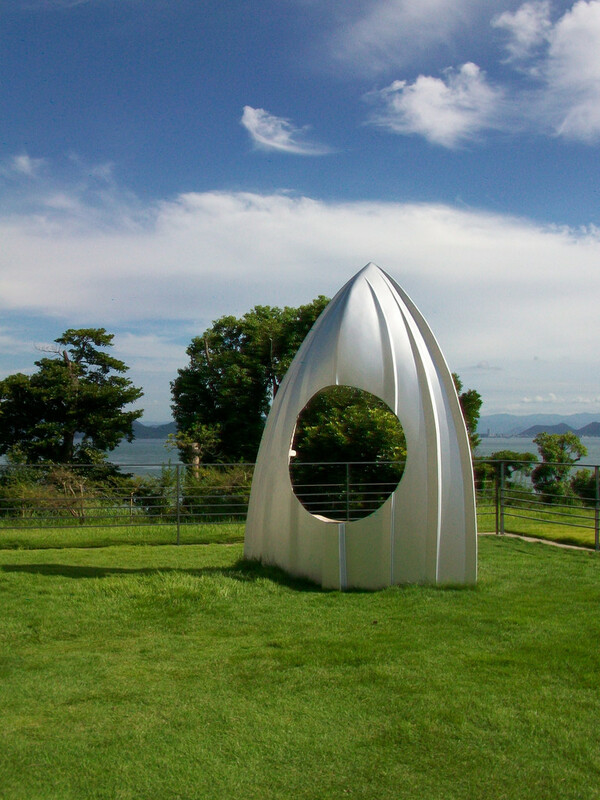 Admission costs are for outside the Setouchi Triennale or without a Triennale Passport. Review: I think I like it more than its famous yellow counterpart, if only because it’s more interactive and playful. Review: Interesting building, but not the most fascinating thing you’ll see on the island. If you’re an architect you’ll probably find an interest that goes beyond its practical function as a terminal. Review: Meh. To tell you the truth, I had never really noticed it before it was officially included in Art Setouchi. Apparently, it’s much more interesting at night as it’s lit and becomes colorful. Review: At first sight, from the distance, it doesn’t look like much. Get closer, spend time around it, walk inside, find the right angles and the right lighting and suddenly its beauty will appear to you. Review: I’ve never been inside, but the exterior is full of small details. You can literally spend hours trying to find them all. 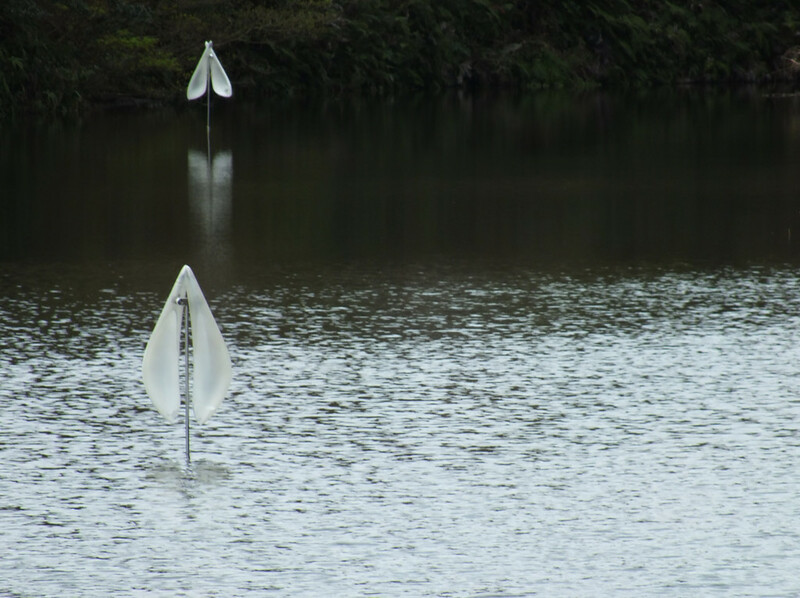 As often with Ohtake’s works, this accumulation creates an improbable and almost fractal reality. Sometimes it looks too messy, sometimes it works. 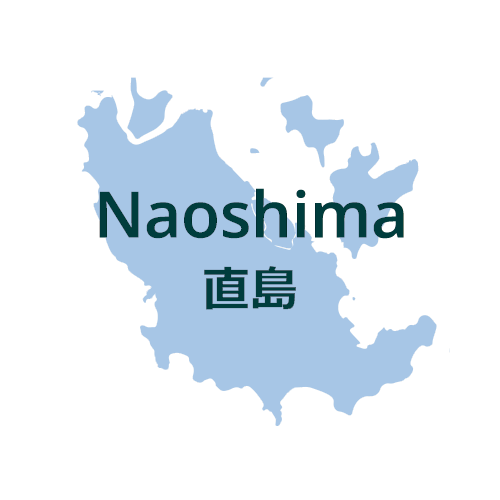 With Naoshima Bath, I think it works perfectly. 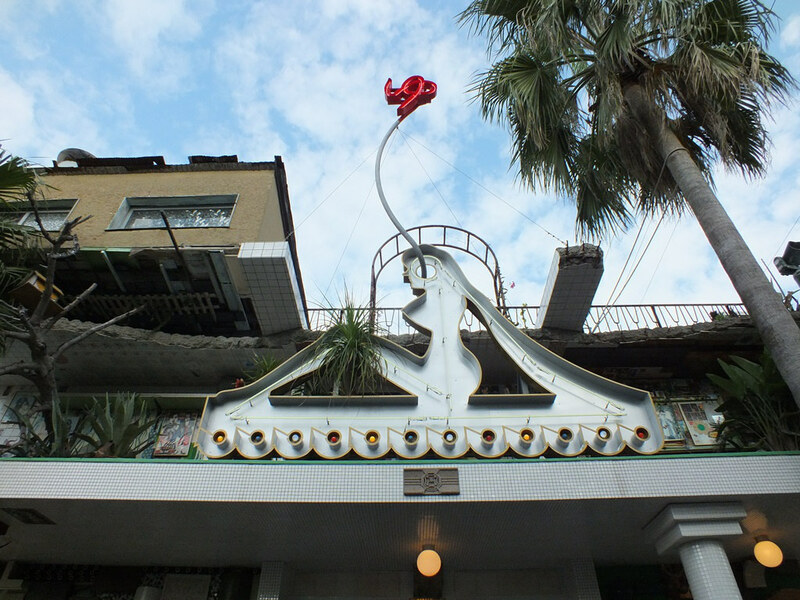 Review: This former pachinko parlor now hosts temporary exhibits during the Setouchi Triennale (it tends to be closed the rest of the time). So far, I’ve liked the ones that I have seen (I missed a few). 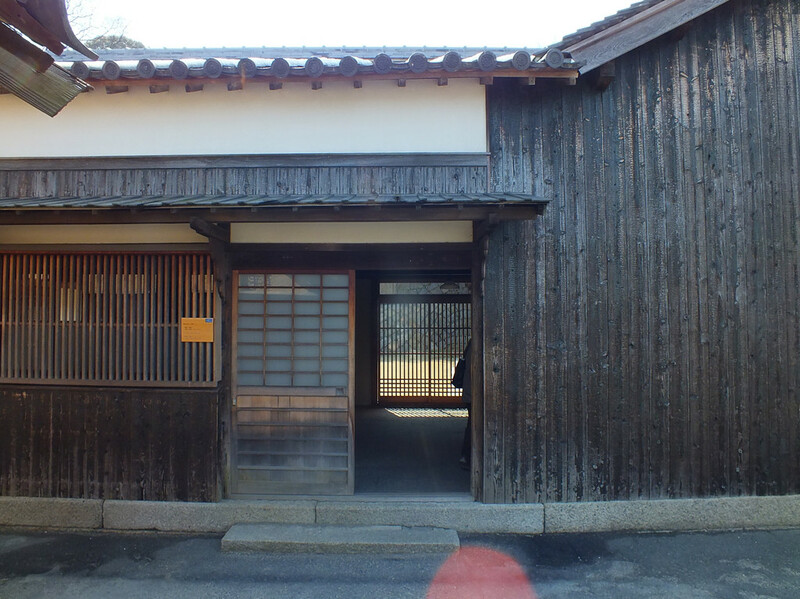 The place often showcases arts that tend to be under-represented in Art Setouchi (photography, writing, etc). 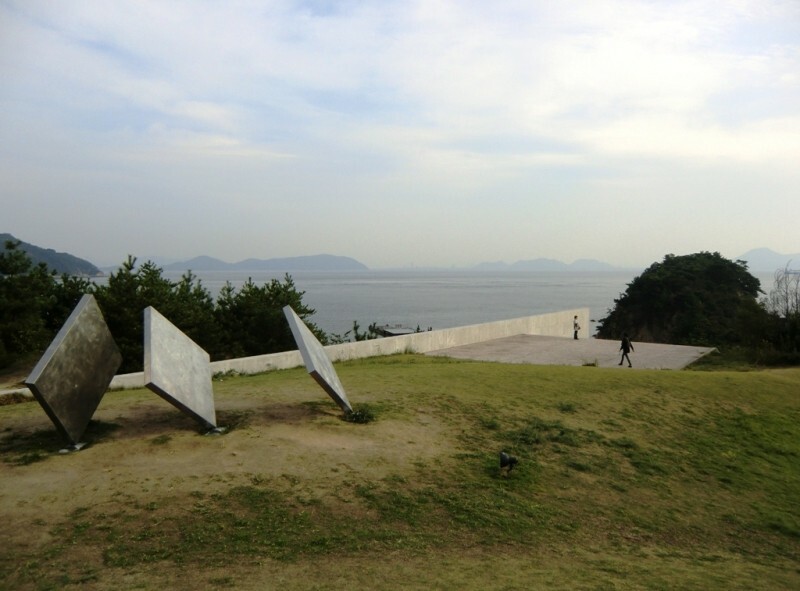 Review: I haven’t seen the new building as I’m typing these lines a couple of weeks before the beginning of the Triennale 2019, but the Naoshima Plan has been an ongoing project by Hiroshi Sambuichi. 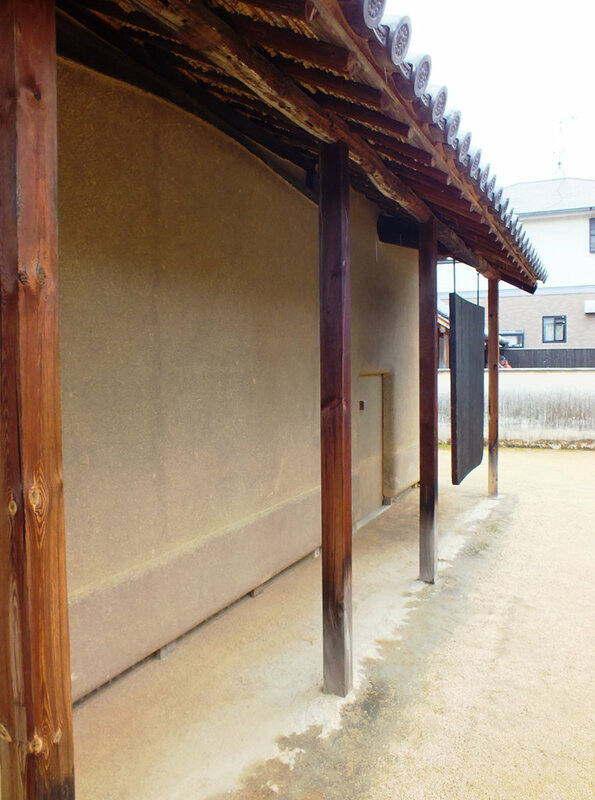 It consists of renovating or rebuilding various houses and buildings in Honmura, some private, some public. 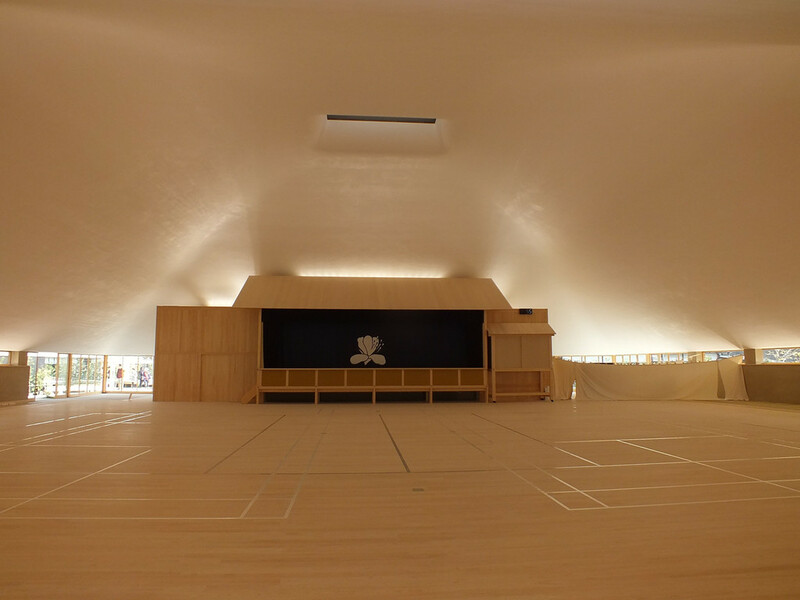 Sambuichi’s trademark is that he integrates the local “forces of nature” (wind, rain, sun) to design his buildings. Review: This building, like all of Sambuichi’s buildings, deserves to be visited for a certain number of reasons. Spend time around it, get inside if it’s open to the public on that day, and you’ll see how it’s one of the most interesting buildings on Naoshima. 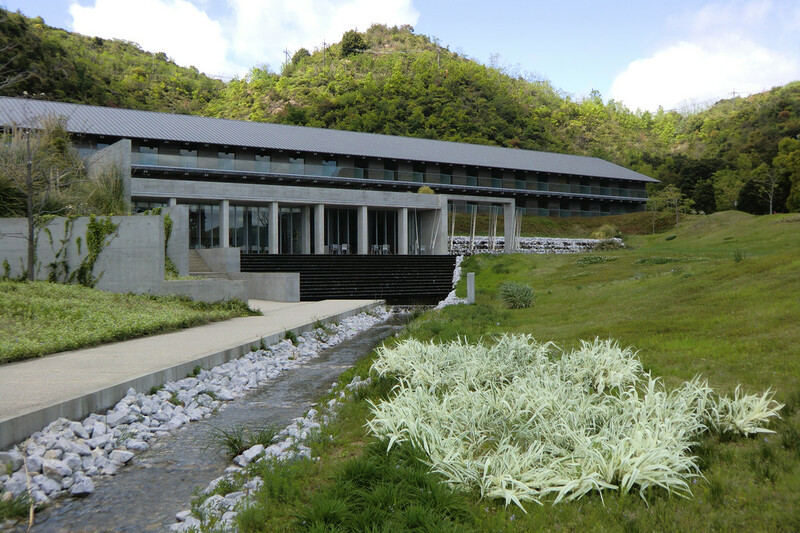 Beyond its appearance, partly contemporary, partly traditional, the use of nature is what makes the building exceptional. 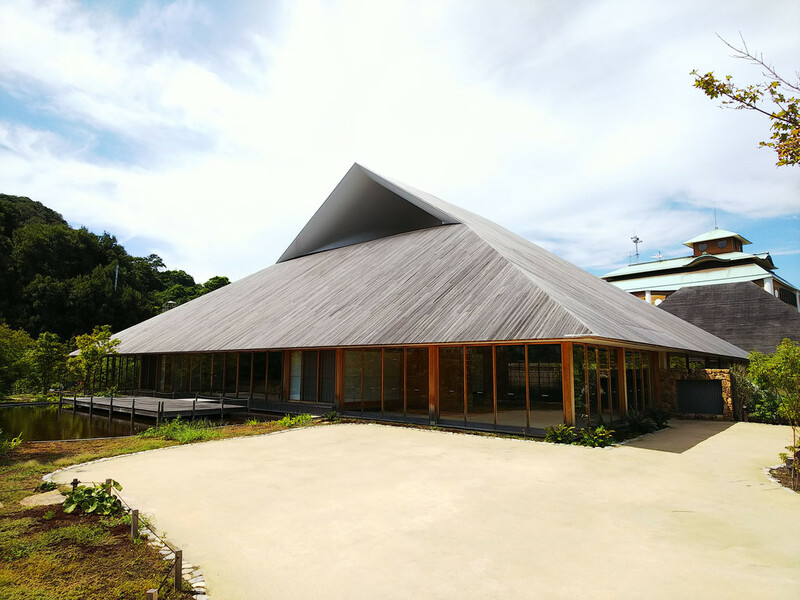 In Naoshima Hall‘s case, the wind is used to naturally regulate the temperature. 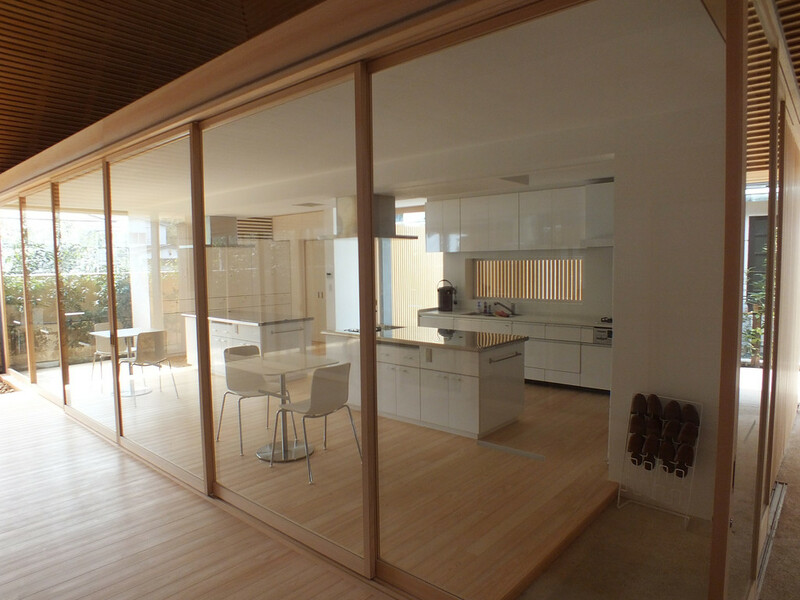 Tadao Ando may be the star of Naoshima, but in my opinion, Sambuichi makes more interesting buildings. Review: I have to admit that I don’t have any strong feeling about it either way. The shape is amusing, but it feels unfinished somehow. Review: Not my favorite place on the island. 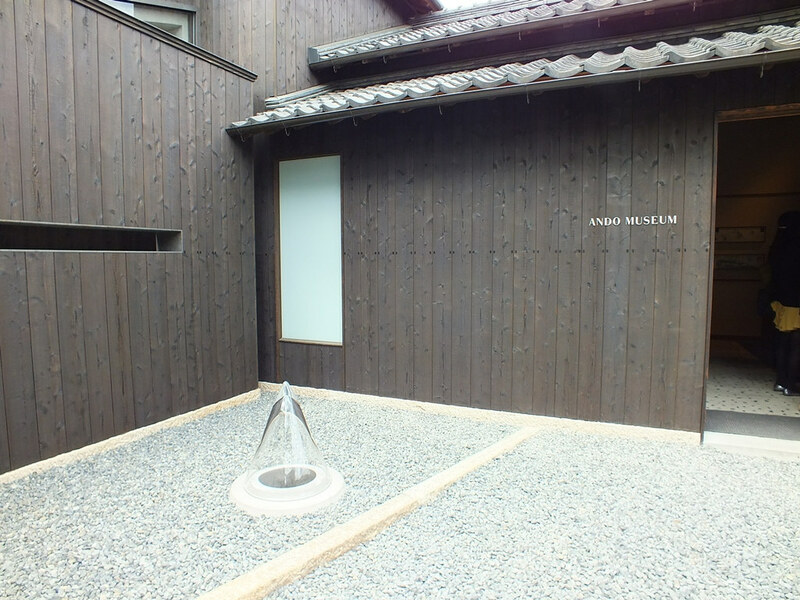 The permanent exhibit is a retrospective of Tadao Ando’s works. The building itself is vaguely interesting. You may have a different opinion, you may have noticed that Ando’s works don’t usually speak much to me. 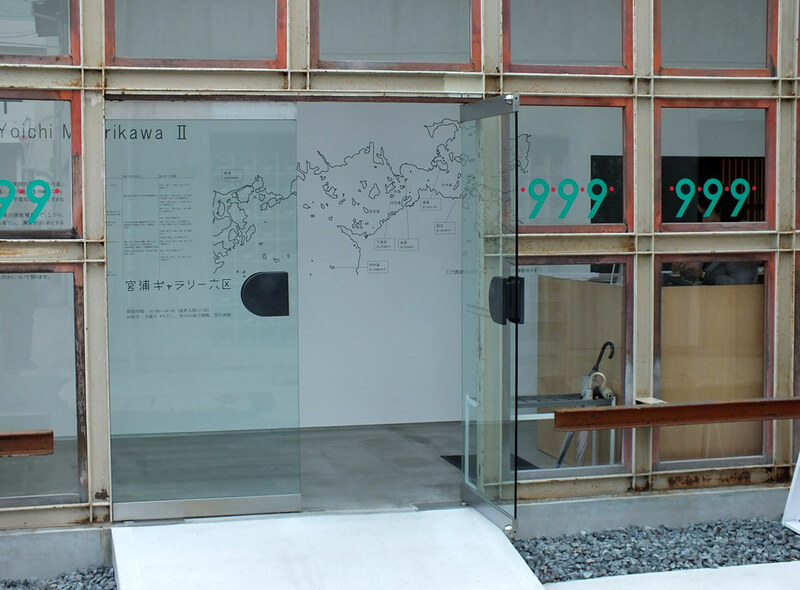 Multi-site ticket: 1,030 yens (allows access to all sites but Kinza – for sale at various locations on the island mainly Honmura Lounge & Archive). Admission for one house only: 410 yens. 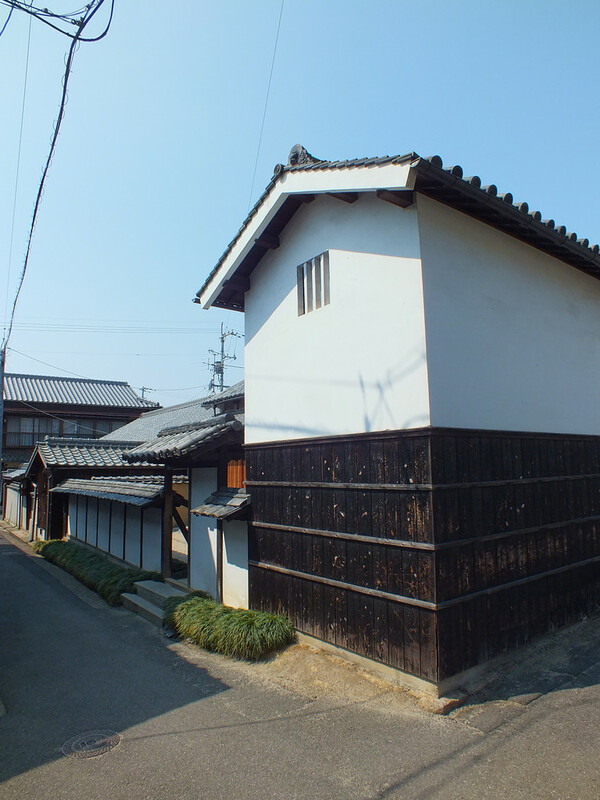 Setouchi Triennale Passport holders can enter the houses for free once. Review: It really depends on the houses. 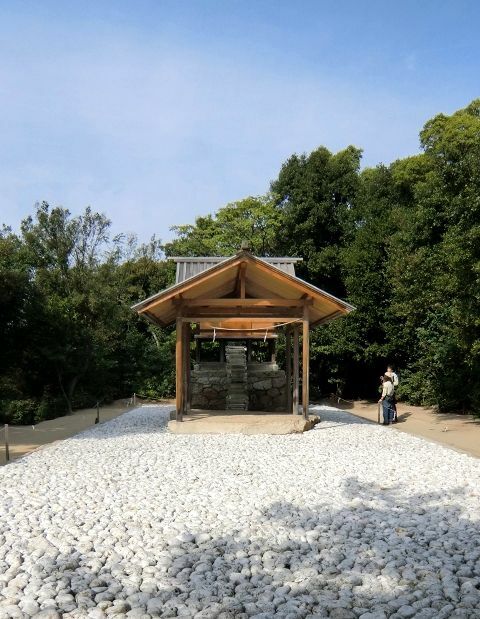 In my opinion, Minamidera, Go’o Shrine and Ishibashi are unmissable. If you’re short on time, you can easily skip Haisha (⭐⭐), Gokaisho (⭐), and Kadoya (⭐⭐⭐). It comes down to personal tastes, though. Admission: 510 yens – you must make a reservation as only one person can visit at a time. 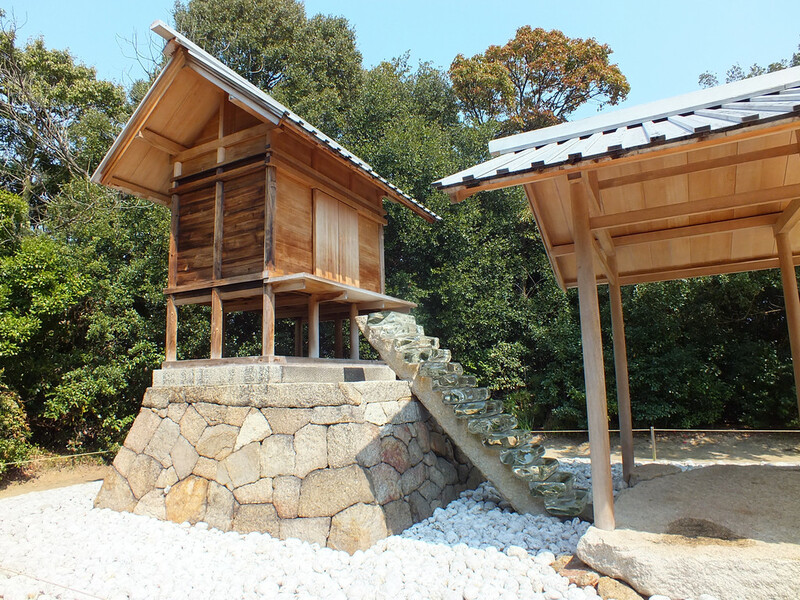 Review: A very unique place that very few visitors to Naoshima get to experience. 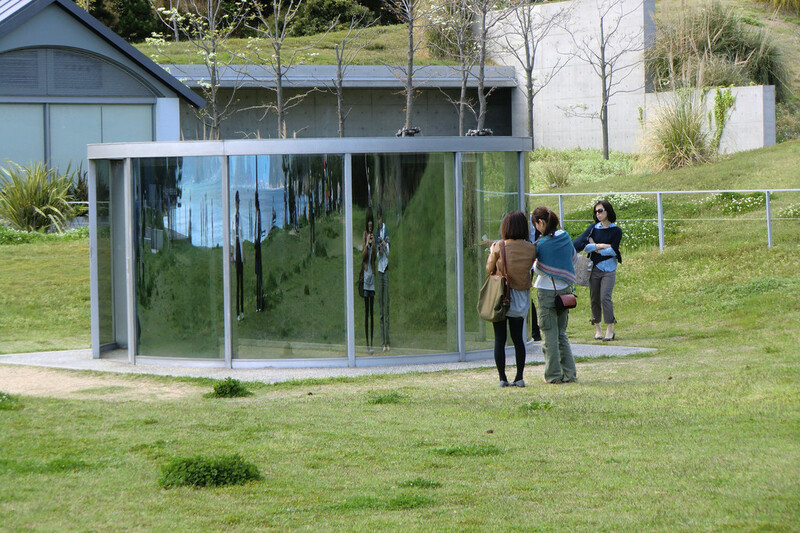 Having an artwork for yourself is unique in itself, but Kinza is also a meditative experience that connects to the Teshima Art Museum in a very interesting and subtle way. 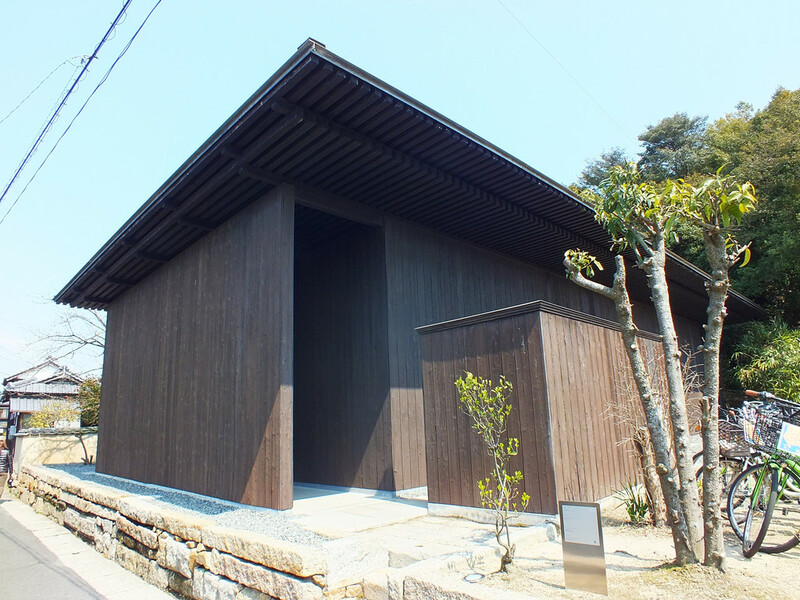 During the Setouchi Triennale, it is possible to get a guided tour of the building and its works of art. 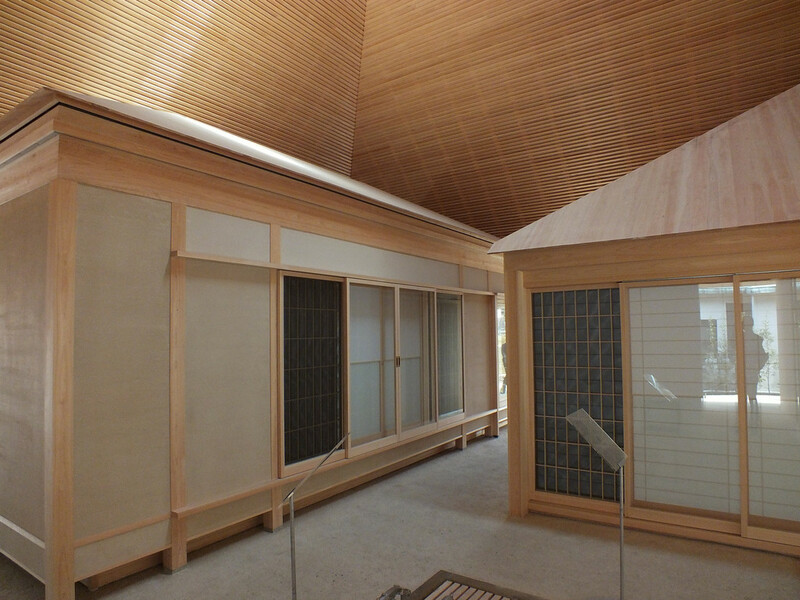 As a reminder, the Benesse House is divided into four buildings; Museum, Oval, Park, and Beach – this visit covers the building that is called “Park”, not the park itself. – inside the museum: Jennifer Bartlett, Jonathan Borofsky, César, Dan Flavin, Sam Francis, Alberto Giacometti, David Hockney, Jasper Johns, Donald Judd, Tadashi Kawamata, Jannis Kounellis, Richard Long, Bruce Nauman, Shinro Ohtake, Nam June Paik, Jackson Pollock, Richard Prince, Gerhard Richter, George Segal, Yoshihiro Suda, Hiroshi Sugimoto, James Turrell, Cy Twombly, Andy Warhol, Tom Wesselmann, Yukinori Yanagi, Kan Yasuda. – outdoor, around the museum and on the beach: Karel Appel, Anthony Caro, Teresita Fernández, Antony Gormley, Dan Graham, Cai Guo-Qiang, Kazuo Katase, Yayoi Kusama, Walter de Maria, Kimiyo Mishima, Shinro Ohtake, Tsuyoshi Ozawa, Michelangelo Pistoletto, George Rickey, Niki de Saint Phalle, Thomas Ruff, Thomas Struth, Yoshihiro Suda, Hiroshi Sugimoto. Review: Actually, I’m not a huge fan of the Benesse House Museum (yes, I know, it can come as a surprise). 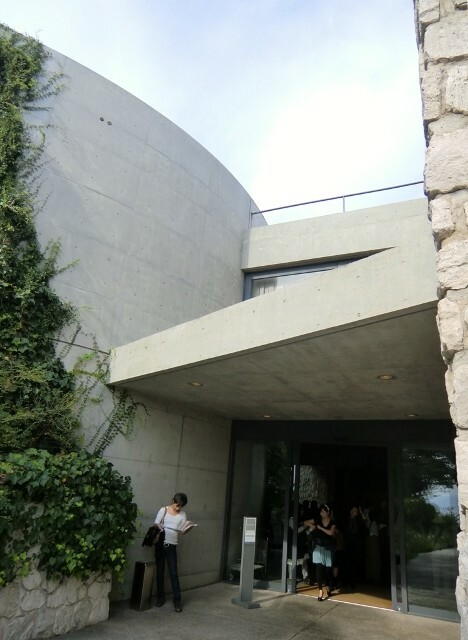 I don’t dislike it either, but to my eyes, it’s no different from pretty much any contemporary art museum, this one just happens to be located on a small island in the Seto Inland Sea and not in a major city. On the other hand, I really love most of the outdoor works and the way they interact with their location (this time, the fact that they’re on a small island and not a big city matters). 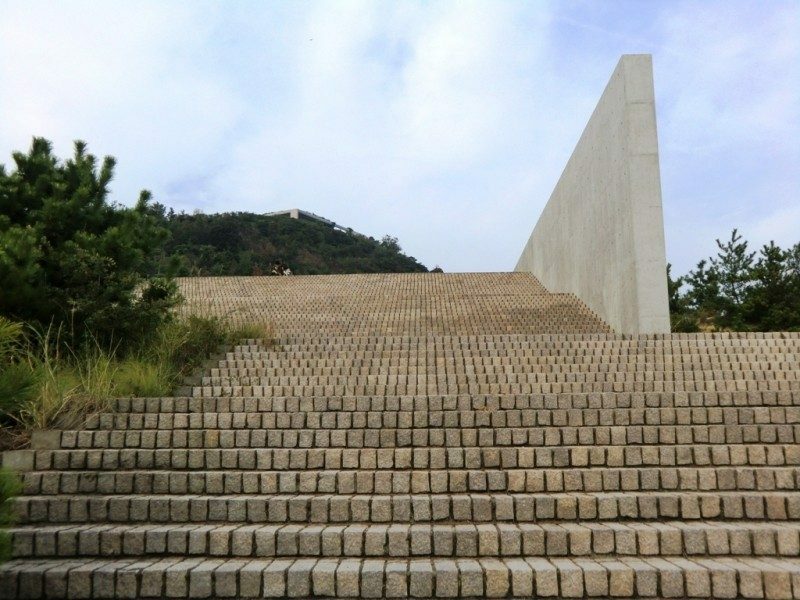 Review: The building is quite interesting, however, Lee Ufan’s art doesn’t speak much to me. Review: A most amazing place. This unique museum was built with and around the artworks that it houses, the building basically being one of the artworks. 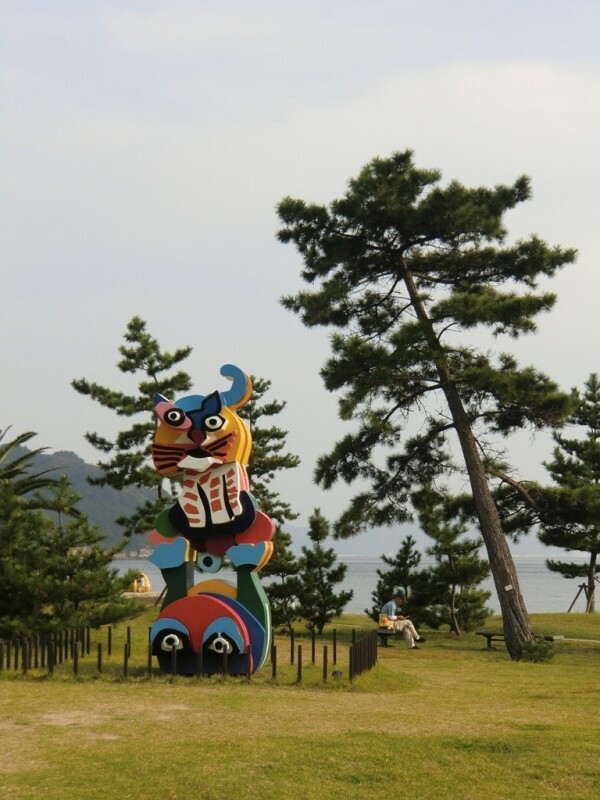 If you only see one thing on Naoshima, make it the Chichu Art Museum. For obvious reasons, to really be able to enjoy the place, you should visit in April. Review: Not a big fan. 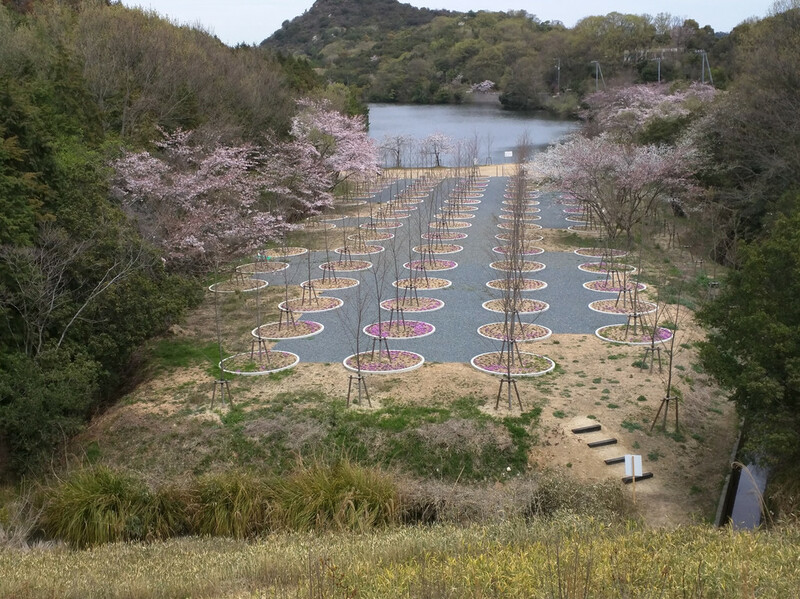 The name is misleading, it’s not a labyrinth at all (which is highly disappointing so do not expect anything of the sort), and gravel on the ground makes the place feels urban (a shame as we’re in the middle of the countryside) and worst of all, it prevents any kind of hanami. I really don’t see what Ando tried to achieve here. 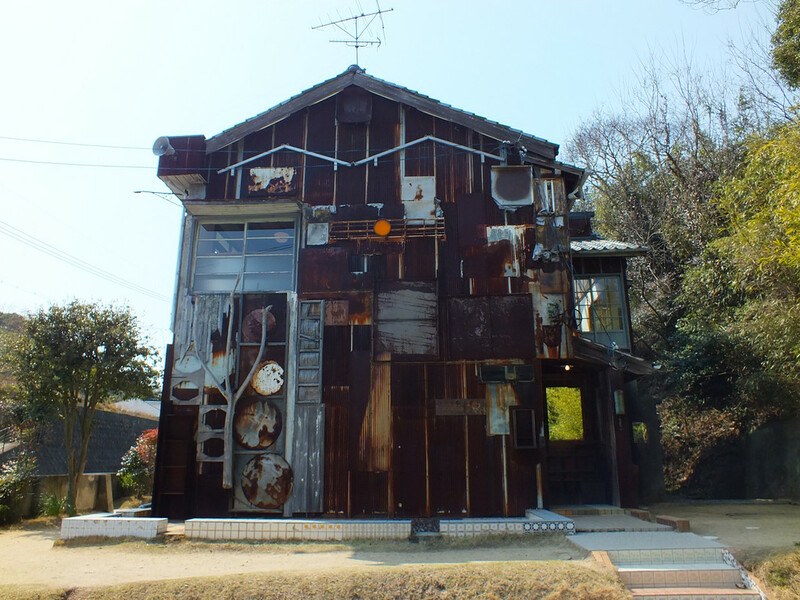 Review: Interesting because intriguing, but nothing too exceptional either (note that this review dates from 2016, since then the artwork has been dismantled and is being reinstalled for the Setouchi Triennale 2019, it could look different – it did when it was on Teshima in 2010).